Hooray! Summer is finally here! One of the many things I really love about summer is that the warm weather makes it so much easier to eat well. In the colder months all I want is to sit in my PJ’s and consume copious amounts of hearty meat-heavy dishes with grossly oversized portions of carbohydrates. 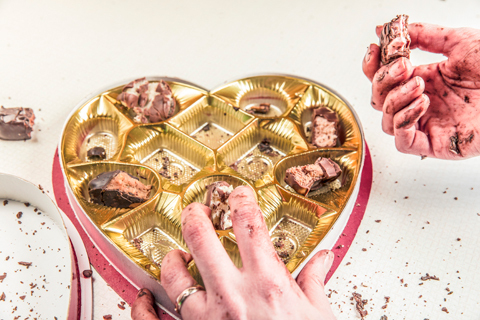 Then I want chocolate. Then summer comes around and all my favourite fruits are in season and I’m craving light salads, antipasto plates (ok maybe not the healthiest, but portion sizes are vastly improved) and fresh seafood. The trouble is, the winter months can be so long and I’ve given myself so little brain food, that I often struggle to recall any recipes to satisfy my cravings. I then regress to my teenage self and spend half an hour staring helplessly into the fridge / or cupboard complaining that there is nothing to eat. So, before I head to do the weekly shop on this, the first week of Summer, I’m turning to my good friend Pinterest to find some mouth-watering, and reasonably healthy, recipes to add to my repertoire so I can be sure to stock the larder with all the necessary ingredients. 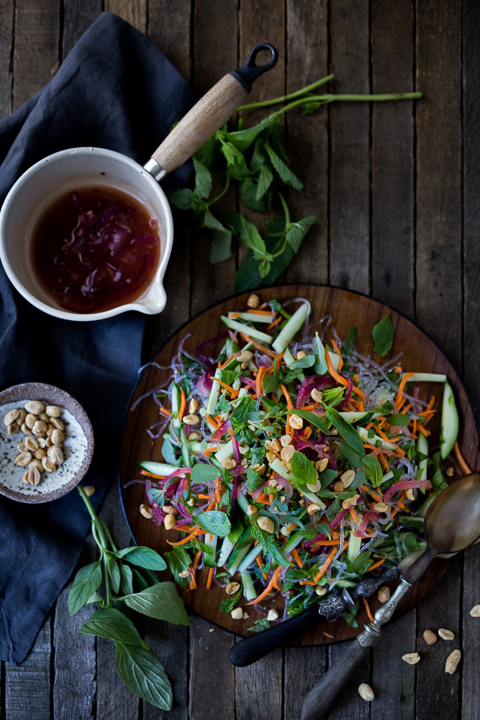 This fresh and simple noodle salad from Feasting at Home is Vegan-friendly and it can be kid-friendly too if you leave the chili flakes out of the vinaigrette. You can sprinkle them over the grown-ups’ salad at the end. 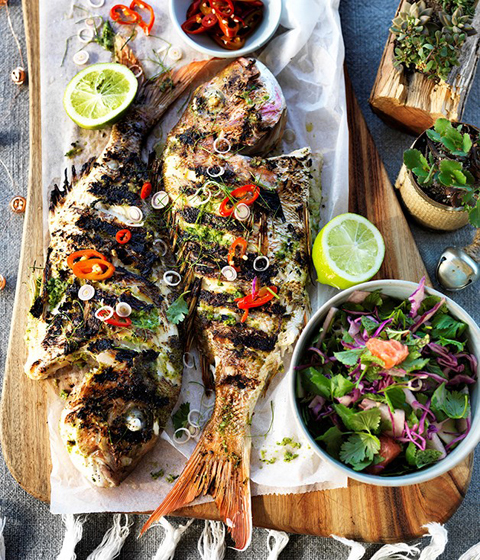 If you’re cooking seafood for a crowd, a whole fish is always a great option. 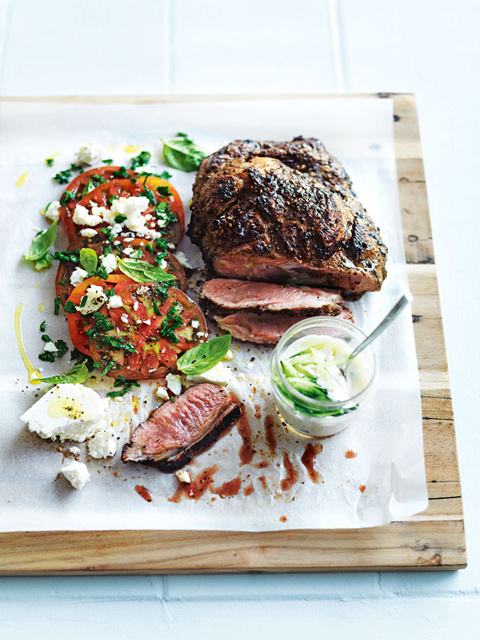 This Three Blue Ducks recipe via Gourmet Traveller Magazine involves a marinade so you need to plan ahead to allow refrigeration time, but you get to smash stuff with a mortar & pestle, so that really makes up for it. If you’re not sure what Zaátar is, it’s just a Middle Eastern spice blend. I tend to always have a range of different types of dukkha in the house (it’s something I can’t walk past in a market or gourmet shop) so I’m going to use that instead. 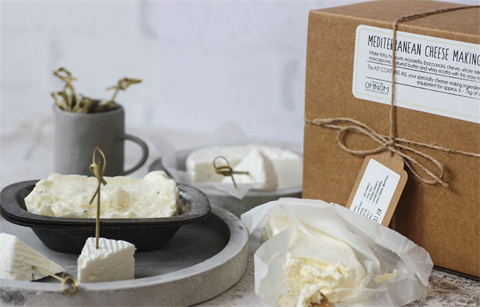 If time is on your side and you like to make things from scratch, you could even try making your own fetta for the salad, with this cheese-making kit from our very own, Omnom Cheese Making. I love a simple bruschetta recipe because it makes a beautiful simple lunch, and is also really portable so it’s is perfect for work lunches, picnics, and bring-a-plate celebrations. Just make up your topping in a serving bowl or portable container, grill or toast bread just before you leave the house and people can make their own like a fancy version of cheese and crackers. This one from Tammilee Tips looks particularly delicious with the addition of caramelised balsamic… drool. PS. 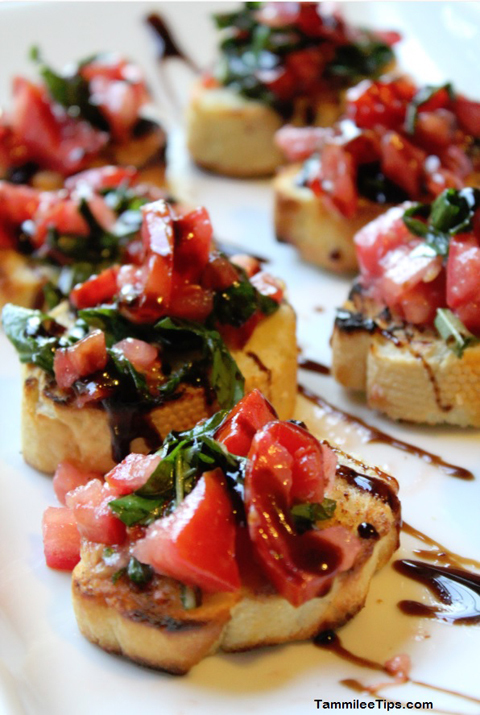 If you have left over fetta from the crusted lamb you can add it to your bruschetta. Because you can never have too much cheese. 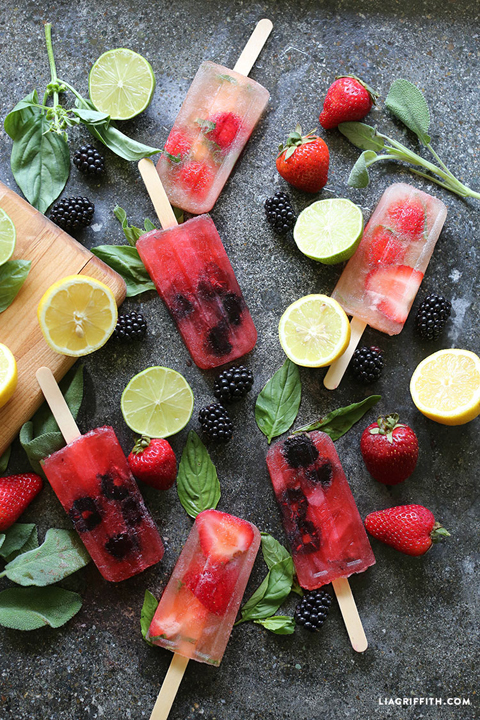 For the sweet tooth, why not finish off with these herb-infused ice pops by Lia Griffith? While these appear to be reasonably simple and healthy, I really just want to try them because they’re pretty – the Pinterest vortex strikes again! Be sure to check out our Food Glorious Food Pinterest board for more summer recipe ideas and food inspiration, including a bunch of great ideas for entertaining this Christmas season. Those recipes all look great!